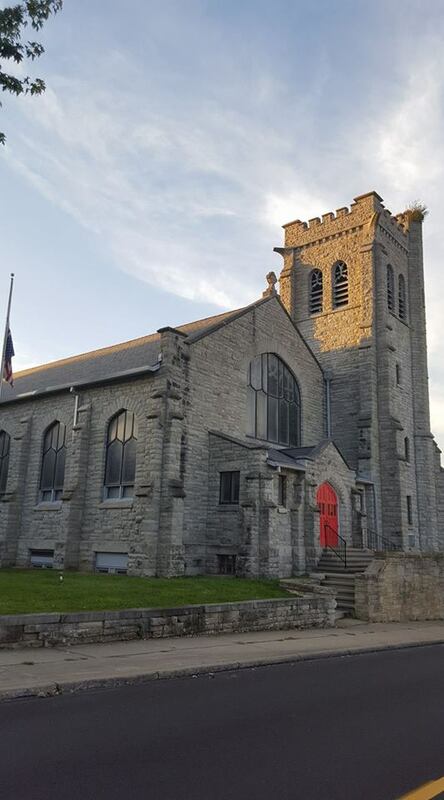 Established in 1846, the same year that brought railroads to town, Grace Episcopal Church’s first parishioners included members of the Bartley and Sherman families. Two years later, its first church building was constructed on Third Street just east of Mulberry. As the century neared its end, the parish began plans to construct a new facility. The idea was advanced to offer its property for $10,000 to trustees of the planned Carnegie Library and to build in a new location, with a contingency to build on its current site. 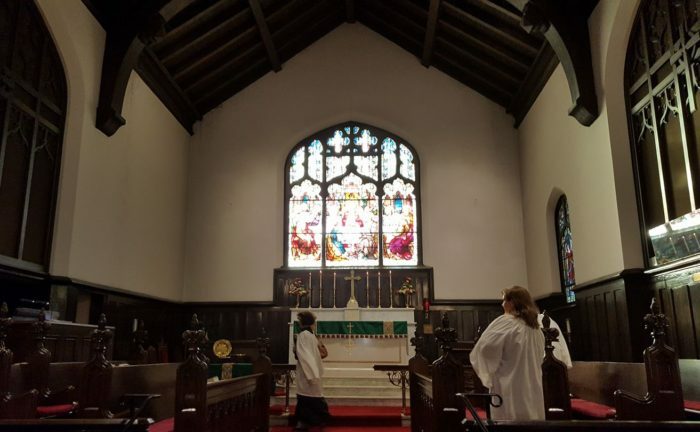 A court ruled in favor of the Grace Church Vestry, and the library offer was accepted. The new library was built on the site of the former church, and new acreage was purchased on Bowman Street. Shortly before this transaction took place, the old Grace Church was the venue for what might have been the most high profile funeral in Mansfield history – that of Senator and Secretary of State John Sherman. On October 25, 1900, mourners who gathered in the small, brick structure included President William McKinley. The new church was designed by prolific local architect Vernon Redding. Plans called for a building designed in traditional Gothic style, and with seating for 432 with an additional 60 to 70 in an adjacent chapel. Planned to cost $25,000, the church, when finished, cost nearer to $45,000. It was constructed of Sandusky limetone, trimmed with Bedford stone. Newspaper accounts noted that that interior was different than other Mansfield churches, particularly in the massive wood beams in the ceiling and the “shape of the furniture.” The brass communiton rail was a gift of Charles Kelley King, and the west window above the altar, representing the Lord’s Supper, was made in Munich, Germany. Nave windows temporariy featured amber glass; it was not until January 1915 that additional stained glass windows were added. In 1956, a large classroom addition was made to Grace Church; several years ago, a major addition was made which provides an accessible entrance, restrooms, and a major refurbishment of the educational wing.